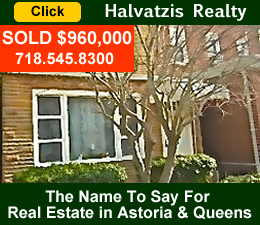 December 13, 2015 / Jamaica Neighborhood / Food in Queens / Queens Buzz. Continued. After checking in at the front desk, I joined the group and soon the program began. Nadezhada [pronounced Na dezsh da] Williams, Executive Director of King Manor, introduced Peter G. Rose to the audience. To those who aren’t familiar with her, Peter G. Rose is a woman. She grew up in the Netherlands and immigrated to America in the early 1960’s. Since arriving in America, Peter has embarked up a broad and deep exploration into the origins, transformation and assimilation of her native Dutch culinary traditions into the American panoply of cuisines. She is the author of eight books, and her research and themes provide an interesting perspective through which one can view the evolving landscape of American history, culture and cuisine. Peter opened the lecture telling us that Santa Claus is a composite creation that originated with St. Nicholas in the 4th Century AD. Nicholas was a Greek, living in the geographic region that we know of today as the country of Turkey, in a city along the eastern shores of the Mediterranean. The city of Myra, now Demre, is where St. Nicholas spent a portion of this life helping others by generously giving anonymously to those in need. 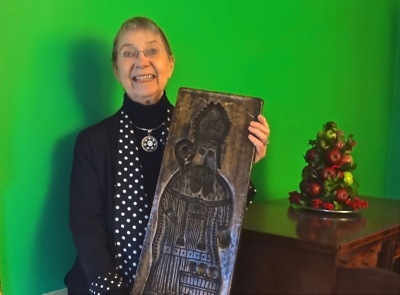 Food Historian Rose is careful to note that the legendary stories about the generosity of St. Nicholas were handed down through the ages via an oral tradition until 810 AD, when someone began recording these stories on paper, providing later generations with a written history. One of the most famous tales of St. Nicholas’ generosity revolves around a father who had three daughters who he would have to turn over to slavery because he had no dowry to give them with which to get married. The night before the eldest daughter was to be turned over, she hung out a stocking to dry and went to bed praying that something good might befall her. The next morning she arose to find a small bag of gold inside the stocking. This same good fortune befell the second daughter one night later. On the third night, the father lay awake, and upon hearing the gold drop in the stocking of his third daughter, he went out and found St. Nicholas. St. Nicholas asked him not to tell anyone about his gifts. Hence began the legend of St. Nicholas’ anonymous gift giving in the midst of the night. There’s another legend that survived over the centuries, about a butcher who killed three boys and pickled them in a barrel. St. Nick, upon hearing of the atrocity, prayed fervently to god who brought the boys back to life. 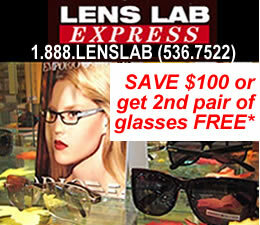 For that reason, St. Nick is said to be the patron saint of children, particularly boys. St. Nicholas was a Greek and the Greeks are a seafaring people. St. Nicholas became known as a patron saint of seamen who visited Demre where he had lived, in honor of his deeds. 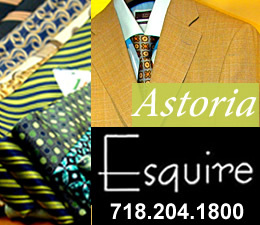 Poseidon was a Greek god of the sea and Poseidon was said to ride the waves like horses. 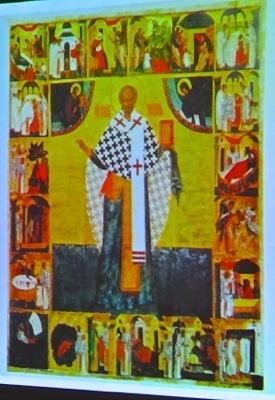 Historian Peter G. Rose said that this may be where the artists got their inspiration to show St. Nicholas riding on a horse. Poseidon was known to wreck boats, while St. Nicholas attributed as saving them. As mentioned previously, Demre [ancient Myra] is located on the eastern Mediterranean coast - and it's not far from Jerusalem. During the Crusades in 1087, some Italian seafarers stopped by the grave of St. Nicholas and took some of his bones with them to enclose in a shrine in Bari, Italy [on the southeastern / lower back side of the country / ‘boot’]. They didn’t gather all the bones and another Italian seafaring group from Venice in 1099 went to Demre and took the rest of the bones, which they too enshrined, but in Venice, Italy. In the 1950's an investigation was made to determine which shrine held St. Nicholas' bones and both shrines were found to hold complementary remains of the same person. It was through the Greek, Italian and other seamen that the legend of St. Nick was spread all around Europe. And St Nicholas’ Name Day was celebrated on December 6th. A switch was a whip [for people / children], back in the day. Rose goes on to tell us that in 1581 when the Spaniards assumed governance over the Spanish Netherlands [Belgium, Luxembourg and parts of northern France & southern Germany]. She notes that at this time the Protestant Church tried to suppress the celebration of St Nicholas Day in the public domain, but that they were unable to eradicate the St Nicholas Day gift giving celebration from the privacy of Dutch homes. It was at this time that the forerunner to the Dutch Republic evolved as an independent state. 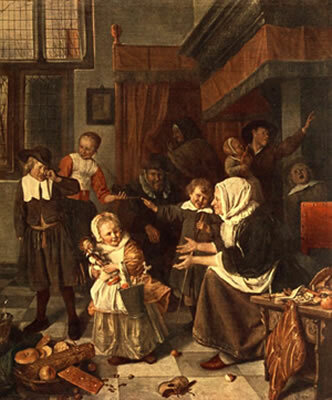 Through the presentation of several Dutch painters such as Jan Steen [1626 – 1679] and Cornelius De Vos [1584 – 1651], Rose shows us family life in the Netherlands centuries ago, including depictions of families celebrating St. Nicholas Day. By this time the celebration is a mostly joyous one, with a softening stance on the moral instruction that had historically accompanied the gifts. The painting above is the Feast of St. Nicholas by Jan Steen. During the 1600’s and 1700’s the Dutch emerged as one of the leading sea powers. Both the English and the Dutch developed smaller, lighter and faster boats that became competitive with the Spanish and Venetian ships, and eventually eclipsed them. Eventually the celebration of the St. Nicholas Holiday arrived on American shores with the Dutch in New Amsterdam. Historian Rose then showed us proof that St. Nicholas Day celebrations had arrived in the New World, in New Amsterdam [now New York City] in the Dutch Reform Church in the Flatbush neighborhood of Breukelen [Brooklyn]. She presented a record showing that some breads were distributed to the poor on December 6th in 1647. She goes on to tell us that New Netherlands in the New World included what is today New York all the way up the Hudson Valley, most of New Jersey, as well as parts of Pennsylvania, Connecticut, Maryland and Delaware. 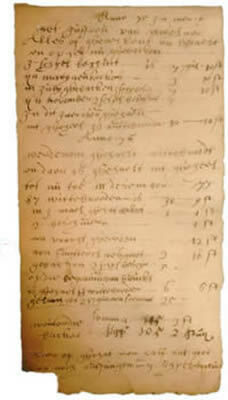 The Albany, New York receipt at right is dated March 1675 and is a baker's receipt from Wouter de Backer (Walter the Baker) to Maria Van Rensselaer for, among other things, "white bread, "koeken" (cookies) and 2 guilders, 10 stivers of "suntterclaesgoet" (Sinterklaas goods)." 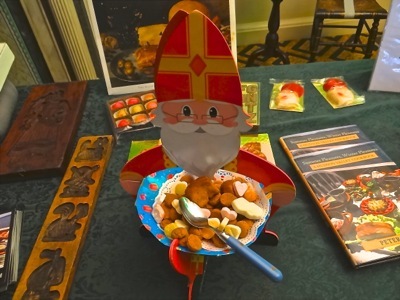 Gingerbread, and windmill cookies are foods of Dutch origin that are traditionally associated with St. Nicholas’ Day. Rose provides evidence of these in some of the paintings and goes on to tell us that St. Nicholas’ Day is essentially a dessert party. Have a bowl of soup and / or a sandwich, and then move onto the desserts. She says that the Dutch have a very big sweet tooth and that there were 40 sugar refineries in Amsterdam in the 1600’s. 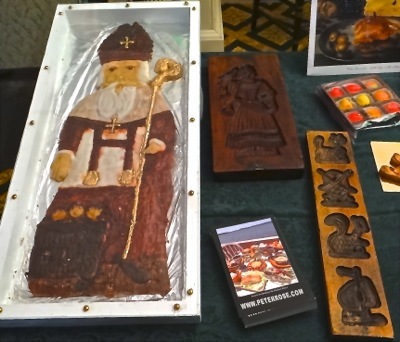 By the 16th and 17th centuries the Dutch bakers are making cookies in the image of all sorts of things, including animals, and they use carved cake boards to produce them. The Dutch prepared the carved cake board by oiling and flouring it to ease the release of the cookies, then pack the dough into the carved board, carefully cut it flush with the top of the board, turn the board over onto a baking sheet and then insert the baking sheet into the oven to be baked. In 1664 New Amsterdam was renamed New York when the Dutch transferred control of it to the English. New Amsterdam had been made a fort to protect the mouth of the Hudson River, which led inland and upstate to the rich beaver and fur trade of the time. Beaver was particularly popular because it was waterproof and fashionably used in European hats and coats. Over time, Peter G. Rose observed that the Dutch gave up their language. She notes that as they gave up their language, many of their cultural traditions increasingly became assimilated into the American Melting Pot. The Dutch settlers adapted their cuisine to the bounty of America by making baked goods with American fruits, like apples and pumpkins, in the form of pies, but they continued to celebrate the feast day of St. Nicholas. Historian Rose points out that St. Nicholas Day is not St. Nick’s birthday – as some suggest – but rather the day upon which he died. She adds, that in the Christian faith, one is believed to be born again into the Kingdom of Heaven upon their death, and that this may account for some of the confusion regarding whether the day commemorates his birth or death. At this point we are taken into American history and culture in the 1800’s. Following the Revolutionary War, there’s a renewed interest in the Dutch strain of American culture. In 1812 while making edits to his satirical work entitled A History Of New York, Washington Irving depicted St. Nick flying over rooftops in a wagon, dispensing gifts from his pockets. Irving wrote A History of New York as a satire about New Yorkers’ growing sense of self importance. He used the Dutch pen name, Deidrich Knickerbocker, to author the work and Irving's playful depiction of the Dutch’s Saint Nicholas took root in the popular imagination. Illustrator Thomas Nast was one of the first to depict Sinter Klaas as we know him today [see illustration above]. Sinterklaas was the abbreviated pronunciation for the contraction in Dutch of Sint (Saint) Heer (lord) Klaes (short for Nicolas or Nicholas) as he was known in the Netherlands. In 1862 Nast first depicted Santa helping the Union troops over the Christmas holidays of the Civil War. Nast drew a number of Sinter Klaas depictions over the years including the one above in 1881. In 1881 Nast’s ‘Merry Old Santa’ was created, popularizing the vision most now know him as today - as a big jolly, bearded man, with a fur trimmed hat and coat. 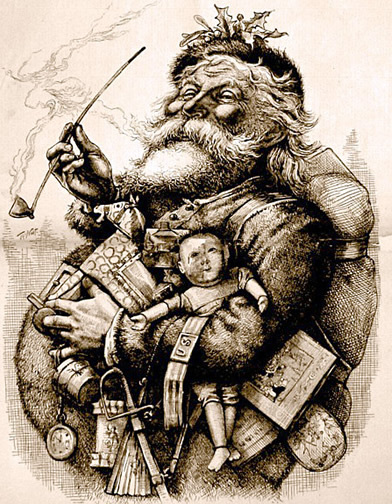 Rose notes that Sinter Klaas is holding a Dutch style pipe in this famous Thomas Nast depiction. Nast is also attributed as giving Santa his red color even though many folks mistakenly believe that Coca Cola gave Santa his red, white and black coloring. Coca Cola on its website makes no claim to the red, white and black coloring, but rather attributes it to later Nash depictions. Food Historian Rose notes that the St. Nicholas Day celebrations involve cooking preparations, including lots of sweets like cookies and gingerbread. In the 1800's chocolate is included as a part of the tradition as is the use of icing on the cookies. Rose told us that in the Netherlands in the 19th century there are even parties wherein the girls and women spent time gilding and icing the Christmas cookies, including with edible gold. Early in the 20th century, in 1931, Coca Cola began including a Santa created by Haddon Sunblom in its holiday advertising. The mass produced image was transported around the globe during WWII and is generally the Santa we all know today. The Coca Cola Santa is very similar to the one created by Thomas Nast. Coca Cola through its marketing muscle and ability to mass-produce and distribute product and images globally, made the modern Santa a universally recognized icon. With that Ms. Rose concluded the lecture and took a number of questions from the audience. One questioner inquired about the influence of German culture in the creation of Santa [and I found some things regarding possible English cultural influences too]. 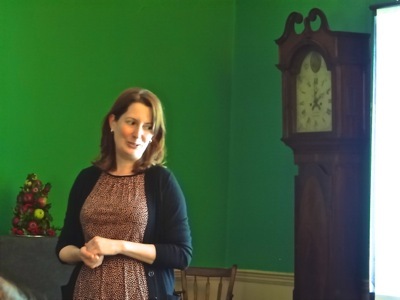 Food Historian Rose said other influences may exist but that this lecture was intended to discuss the Dutch American culinary and cultural influences on the evolution of Santa Claus. It's worth noting that at some point the Santa Claus celebrations became a part of the celebration of Christ's birth on December 25th in lieu of St. Nicholas Day on December 6th and that may be where the German and English cultural influences came into play. Another member of the audience told us that around the middle of every December, St Clements Church in Manhattan hosts a reading of Clement Moore’s poem during a weekend church service. 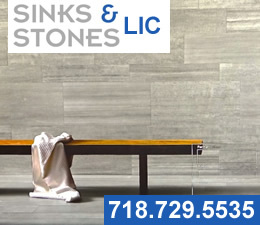 St Clements Church is located on 20th Street between 8th and 9th Avenues in Manhattan. Peter also provided us with samples of ginger cookies she had made using the Dutch styled cooking boards she had discussed in the lecture. Her ginger cookies provided a sweet, flavorful ginger cookie and were very delicious. You can learn more about the Dutch cultural and culinary influence on the Christmas Holiday, including a number of recipes which likely span centuries, in Peter G. Rose book, Delicious December: How the Dutch Brought Us Santa, Presents, and Treats: A Holiday Cookbook. Happy St. Nicholas Day & Merry Christmas & Happy Holidays. Most of the information contained herein was presented by Historian Peter G. Rose at King Manor in Jamaica, NY on December 13th, 2015. I independently confirmed and supplemented the information she presented by adding a few dates, interesting asides and some additional historical context. The other sources I used include the www.stnicholascenter.org, www.wikipedia.org and www.publicdomainreview.org. Peter G. Rose is the author of eight books most of which delve into Dutch colonial culinary influences on American culture. Her books provide a unique view into American culture, by providing the Dutch role in colonial America and by providing interested cooks, as well as amateur and professional chefs, with recipes and instructions on how to make good old-fashioned, great-tasting food. Many thanks to Food Historian Peter G. Rose who you can learn more about at www.peterrose.com. Also a special thanks for King Manor Museum in Jamaica, Queens for hosting this, and other interesting historical programs. 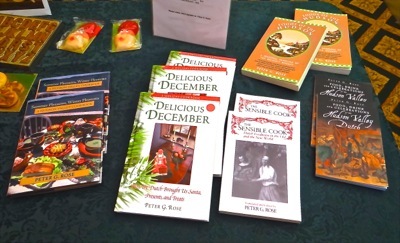 Peter G. Rose Books include: 1) Delicious December: How the Dutch Brought Us Santa, Presents, and Treats, 2) Food, Drink and Celebrations of the Hudson Valley Dutch, 3) Foods of the Hudson: A Seasonal Sampling of the Region's Bounty, 4) Summer Pleasures, Winter Pleasures: A Hudson Valley Cookbook and 5) Festive Chocolate.